Our managing esthetician, Camille’s cousin was struggling with her skin and Camille advised her on a simple Derma E skin care regimen. Her beautiful cousin shared before and after photos with us and gave us permission to share them because she is thrilled with her results. So are we! She has been using the following products as directed by Camille for the past two months: Derma E’s Very Clear line for cleansing and moisturizing, Derma E’s exfoliating mask (great for clogged pores) and Microdermabrasian Scrub to mask and exfoliate 1-2 times weekly. If you want to see a change in your skin, our best advice is to book an appointment for a Wellness Facial with one of our 4 licensed estheticians. 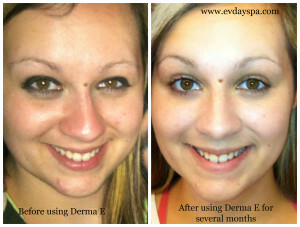 They are experts at helping your skin look and feel great. 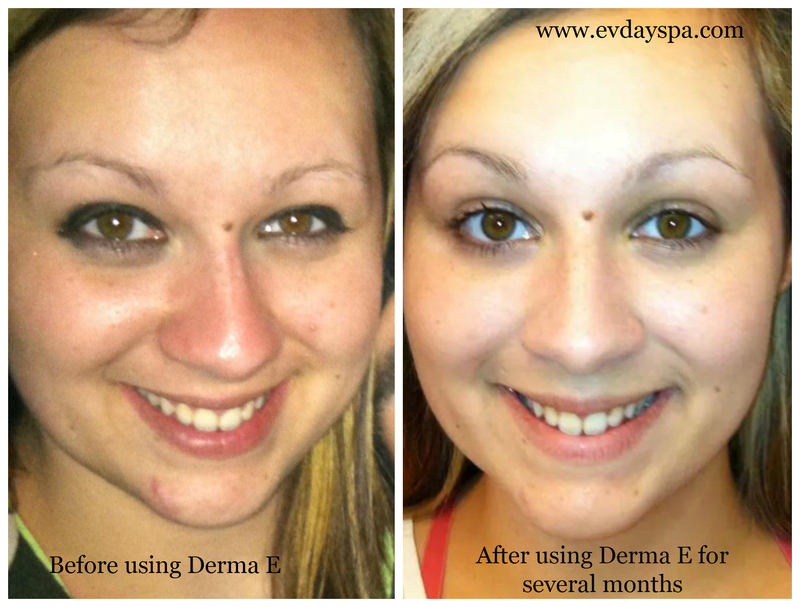 We have samples available of some of Derma E’s products as well, feel free to stop in and ask our receptionist to help you select a few samples to try at home.